I want this hat. Does anyone know what it is? (or if it's entirely fictional and doesnt exist at all), or better yet an online store where I can order one? Its got leather bits, and seems more rigid and less floppy then a standard greek cap. If anyone can has any info, ill be most happy. I've been looking for a while, but cant find anything specific enough. Nothing found, just a highres image. Maybe that helps a bit a least. 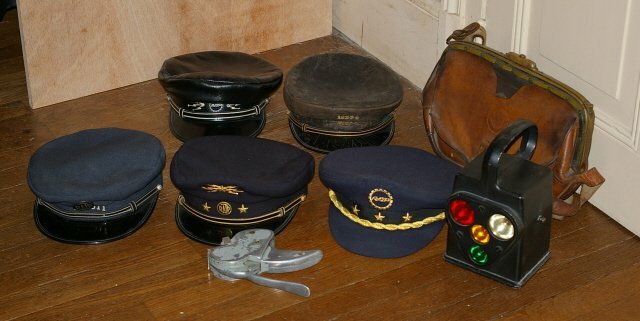 i would say it looks like a "casquette de marin" or could be a casquette from ratp (poinçonneur f-e): http://ferrovipat88.unblog.fr/files/2008/04/ratp.jpg But i would say it is specific to a job. the bottom one you posted is a Greek Fisherman's Cap. yes, i know. Thats what I wear. Closest thing I've seen to that hat is the one worn in the movie "Il Postino" Maybe the "Costume designer" of that movie based it off of the hat from that movie?